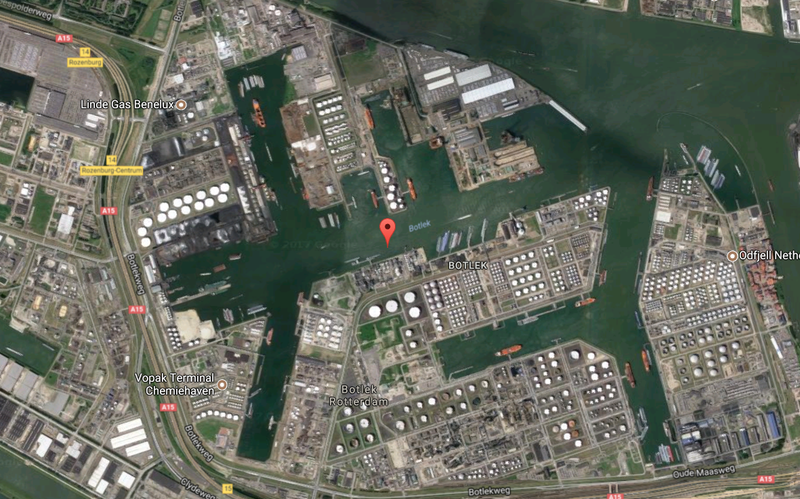 Covering 105 square kms, port of Rotterdam is the largest port in Europe. The whole area is a heavily industrial environment and, to ensure safety of the people working in such an environment, regular inspection of workplaces must be performed. An industrial jetty which has recently undergone an inspection in order to determine the maintenance needs, is located in the Botlek area. Every five years the operation stops so as to inspect the concrete quality of the jetties. When it comes to the industrial inspection, the areas where the inspection is needed are very often hard to access and they are considered to be a dangerous environment. Normally, in order to inspect the underside of the jetty, the inspectors go under it in a small boat which entails safety hazard. 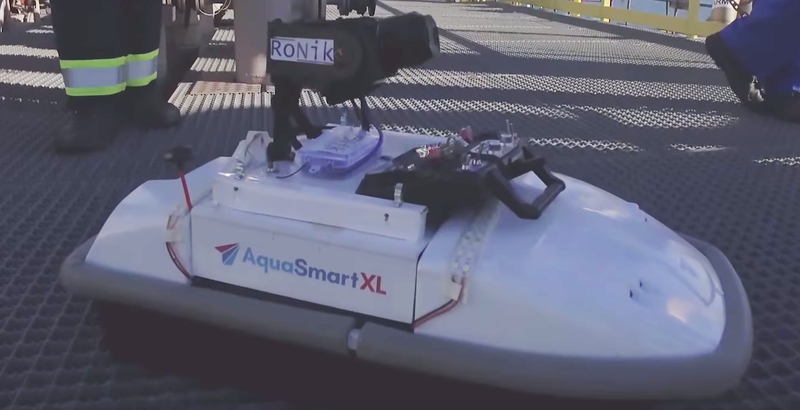 A Dutch company Ronik Inspectioneering (www.ronik.nl) performs high-definition visual industrial inspection using drones. It is performed not only with the use of UAVs but also rovers and sailing drones. The use of this technology can secure safer workplace, shorter downtime, and lower costs. One advantage of using a sailing drone for inspections is that the inspection time is shortened together with the maintenance time. Furthermore, inspectors no longer need to go underneath the jetty and can hence avoid the safety risk. First of all, a surveyor has measured approximately 20 control points using a total station and marked them with small yellow stickers. Then the sailing drone was used to capture the underside of the jetty. It was important to make sure that the stickers are visible on most of the photos. With the use of RealityCapture, a 3D model was created. The coordinate system was configured in their local system and the control points, measured by the surveyor, were entered into RealityCapture. In the next step, the model was scaled to the control points. Lastly, the final model was exported in a format which the customer was able to load into their BIM software to perform clash detection and further construction investigation. Overall approximately 7,000 images have been captured in order to create the 3D model and thus visualize an as-built situation of the jetty. The on-site data capture lasted one day. The subsequent data processing took roughly a week. Due to the changing weather conditions, the dataset lacked the desired quality. Despite the weather factors, with the sailing drone and RealityCapture they were able to deliver to the customer an exact and detailed 3D model of the jetty. “We had tried the Promo license a few times and that gave us the impression that this was the right tool for our job. Since then we are big fans of RC. It is fast and it allows us to take many pictures without lots of constraints on where the images have to be taken. It generates fantastic 3D models that we can scale to measured coordinates.” Steven Verver, a managing director at Ronik Inspectioneering.